Our Indiegogo campaign ended on November 5. More than 127 backers now have raised 72% of our $27,000 campaign goal – enough to ensure that the exhibit will be begin touring in March 2017. The breakdown: 59% directly through Indiegogo contributions and 13% through our matching donor, our website and direct donations. We are confident now that additional donors and the organizations that are hosting the traveling Memorial Exhibit will pitch in to help us meet the last 28% of our goal. 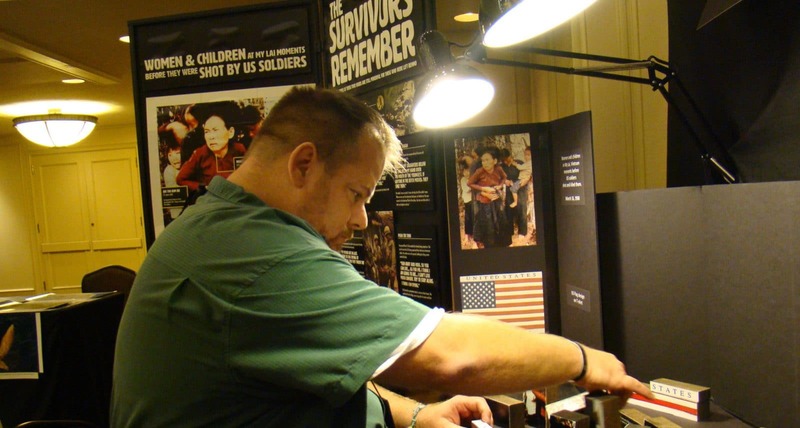 The campaign will continue on our My Lai Memorial Exhibit website – visit to keep track of our tour schedule and our progress. Watch for exhibit updates in our newsletter. Breaking News – We are waiting for an OK from a cutting-edge Chicago business to announce a major in-kind rental donation that will provide the technology needed for the exhibit’s Sharing Wall.